Criticizing the Uttar Pradesh government for not doing enough to "tackle religious intolerance and violence", even as asking it to "go beyond arrests", Amnesty International India, commenting on the gruesome massacre of Mohd Akhlaq on suspicion of stocking and eating beef, has refused to name any saffron outfit for whipping up tension around the incident. Talking of "self-appointed vigilante groups", but not identifying who these are, the top international human rights group in a state statement said, "Arrests will not to be enough to ease communal tensions. The state government must address cases of incitement to violence, and ensure that self-appointed cow protection organizations do not act as vigilante groups." Insisting that "the Uttar Pradesh government must do more to protect the rights of religious minorities in the state", Amnesty has pointed towards a worrying trend of rise in communal tensions across the state. It said, "The Ministry of Home Affairs has stated that there were 68 communal incidents in Uttar Pradesh in the first six months of 2015. Kasganj and Saharanpur districts in the state witnessed clashes between Hindu and Muslim groups in June. 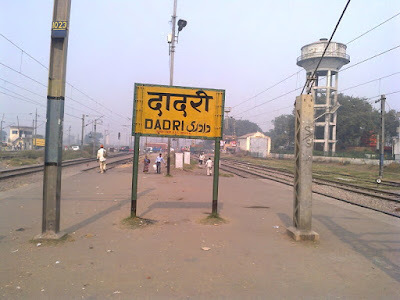 In September, there was stone throwing, burning of vehicles and arson by Hindu and Muslim groups in the town of Gonda." “There is an environment of mistrust and fear in parts of Uttar Pradesh,” Amnesty quoted Abhirr VP, Campaigner at Amnesty International India. “Political leaders continue to stoke tensions by justifying violence. The state government’s inability to check religious intolerance emboldens groups to carry out attacks”, he added, but did not say who these are and why is Prime Minister Narendra Modi quiet about it. It has been widely reported that, among others, a minister in the Modi government, culture minister Vishnu Sharma said, the grisly killing of Akhlaq as an "unfortunate accident" and an apparent "misunderstanding", adding, It (the murder) took place as a reaction to that incident (cow slaughter)." Meanwhile, Modi has been widely criticized keeping mum on the murder. "Cow slaughter is banned in Uttar Pradesh. The Uttar Pradesh police have arrested eight men in Dadri, and asked for legal action to be taken against political leaders who violated prohibitory orders and made speeches in the area after the killing", Amnesty said in the maiden statement more than a week after the incident. “Uttar Pradesh Chief Minister Akhilesh Yadav must show that the state government is serious about making the state safe for people from all religions. His government must make public and act on the report of the Justice Vishnu Sahai commission on the 2013 communal violence in Muzaffarnagar, which was submitted last month", Amnesty insisted.